I love mark-downs because they’re cheap! My mom loved bargains too. She would wait until Christmas Eve day, catch the bus, ride downtown and buy all of our gifts in one day at the fabulous marked-down prices. Today there are “movements,” particularly within the Charismatic/Pentecostal realm, which are “marking down” the Word of God. They are placing “man’s writings, experiences, prophecies, visions, angelic visitations and manifestations above God’s word. Many believe they are “God-Chasers” when in reality they are often “itching ear” chasers. There is grave danger in this pursuit. As to the pastors/teachers/leaders that are directing believers into these movements . . . there’s is a more severe judgement. Paul underscored the value of God’s word in the New Testament to the young pastor, Timothy. He stressed, “All scripture is given by God, and is profitable for doctrine, for reproof, for correction, for instruction in righteousness. 2 Tim 3:16-17. So what is CHRISTIAN DOCTRINE? The Christian faith is founded on Jesus Christ and His resurrection. Before the New Testament gospels were even written, the early Christian leaders declared their belief in the death and resurrection of Jesus through a statement of belief known as a creed. As the church was becoming established, it became necessary for it’s founders to establish additional creeds “doctrine.” There are non-negotiable orthodox Christian faith doctrines. These Prime Truths are what unite us as Christians, and what distinguish orthodox traditions from other groups whom we are unable to recognize as fully Christian. 3. 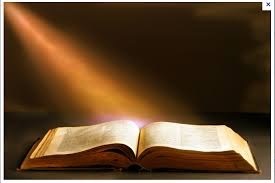 The Bible is God’s inspired Word, and authoritative for faith and conduct. My focus in this blog is the current “abuse” and heretical approach to Doctrines: 3) The Bible is God’s inspired Word, and authoritative for faith and conduct; and 6) Christ is both God and Man and although He became Flesh, He was and is always God! Reblogged this on thewordofgodforever's Blog. Reblogged this on Rooftops & Rafters.